New Delhi: Haryana Education Minister Ram Bilas Sharma yesterday said that the process to issue appointment letters to selected Junior Basic Training (JBT) teachers would begin from today in Haryana. 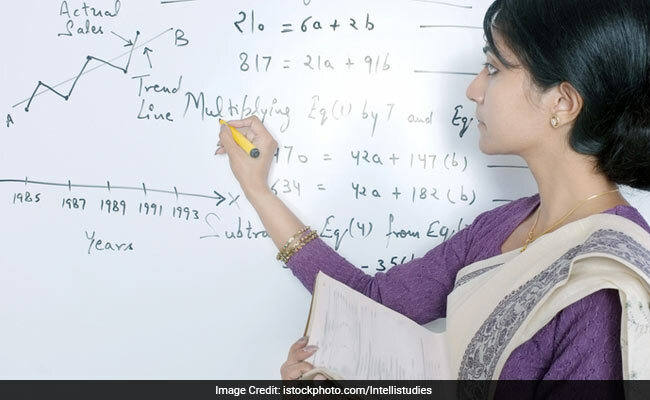 The Punjab and Haryana High court had ordered to appoint teachers as per the merit list of the Haryana Staff Selection Commission. Ram Bilas Sharma was talking to reporters and told PTI that the appointment letter issuance process would begin tomorrow and would take a week's long time to complete. The High Court order has paved way for appointment of almost 9455 JBT teachers who were recruited during the previous congress government during 2014. The Punjab and Haryana High Court on Thursday vacated stay on their appointment. The order was passed by a division bench which was hearing a plea filed by the selected candidates who sought vacation on the May 11, 2016 order which had put a stay on their appointment. The High Court had stayed their appointment after hearing a petition which claimed irregularities in their selection process. Addressing the reporters, Ram Bilas Sharma said that the present government's works to improve education in the state during their 30-month tenure was commendable. He said that the measures taken by the government included promotion and Assured Career Progression (ACP) of teachers. Almost 6000 teachers have benefitted under ACP which were pending for last several years. Also the Haryana government promoted 1177 Trained Graduate Teachers to the post of Post Graduate Teachers. He also said that the government has issued orders to promote 700 school lecturers to the post of principals.